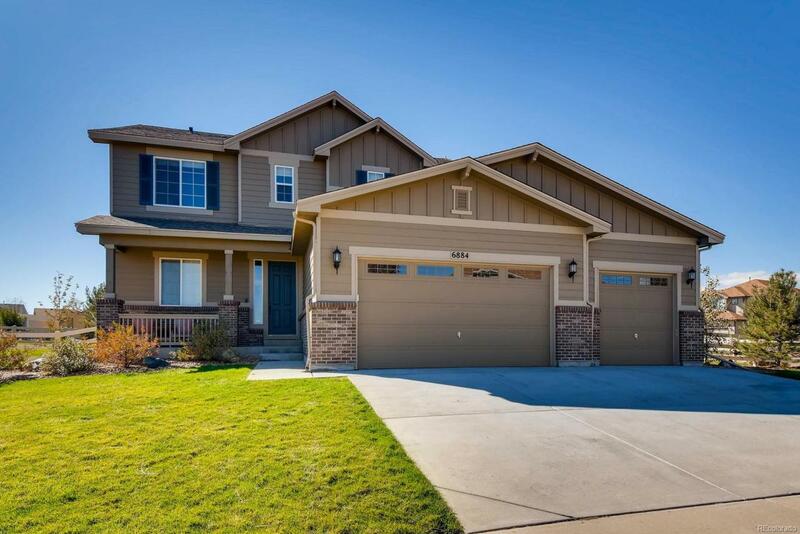 This stunning 2-story in Saddleback Heights features 4 beds, 2.5 baths, kitchen, living room, 4 car garage & unfinished basement for your future expansion. Quiet interior location on a spacious corner lot. Brand new roof in October 2018. Enjoy entertaining in the beautiful, fully fenced backyard or on the stamped concrete patio with custom outdoor firepit and pergola. This home is perfect & move-in ready. Expensive updates are done. Many upgrades throughout including lighting fixtures, granite counters, ceilings fans & more. The energy efficient furnace, central air conditioner, gas fireplace & ceiling fans keep this home comfortable all year long. A pleasure to show. Bring your pickiest buyer. The 4 car garage offers ample space to store those "toys. Close to dining, shopping, entertainment and other amenities. A short commute to Longmont, Denver, Boulder and beyond. Just lock up and go explore all that Colorado has to offer. Dont miss your opportunity to own this gorgeous home.